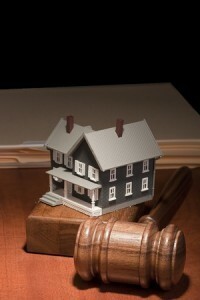 Buying a Home at an Auction Could be a Prudent Decision | Wilson Auction & Realty Co, Ltd. If you’re like most people, it never even occurred to you that you could buy a home or property via an auction. “Aren’t auctions for things like old cars and farm equipment?” you’d wonder aloud. But today’s reality is this: you can buy a home at an auction. More and more people are doing this very thing, and they’re doing it because they get a great place for a great price. What’s the one thing people worry about most when it comes to buying a house? If you said, “money,” you’re right. With auctions, houses and properties can be “very good deals,” so you’re not breaking the bank to get the kind of place you desire. There’s the traditional way of finding and buying a home, and then there’s the auction way. Perhaps you should consider the auction way if you don’t want to go through the rigamarole of hiring a real estate agent, attending open houses, and–gulp–negotiating with a seller. With an auction, people bid against one another and whomever is willing to pay top price during the set time frame of the auction ultimately “wins” the house. Reserve, whereas the price is not made known and your offer can be rejected even if you submit the highest bid. Minimum bid, where bids start at a floor price. Foreclosure, where a property is sold at less than market value and the lender cannot profit from the auction. Absolute, where the property goes to highest bidder. Wilson Auction & Realty Co., of Bryan, Ohio, does property auctions. If you’re wondering what type(s) Wilson does, call 419-636-5500. Furthermore, realize that Wilson does “home”/property auctions not just in Ohio, but in Michigan and Indiana as well. Want to know more about this unique service, from either a seller’s or buyer’s perspective? If so, contact us today.